Far-right French politician and presidential finalist Marine Le Pen was officially charged today with "breach of trust." 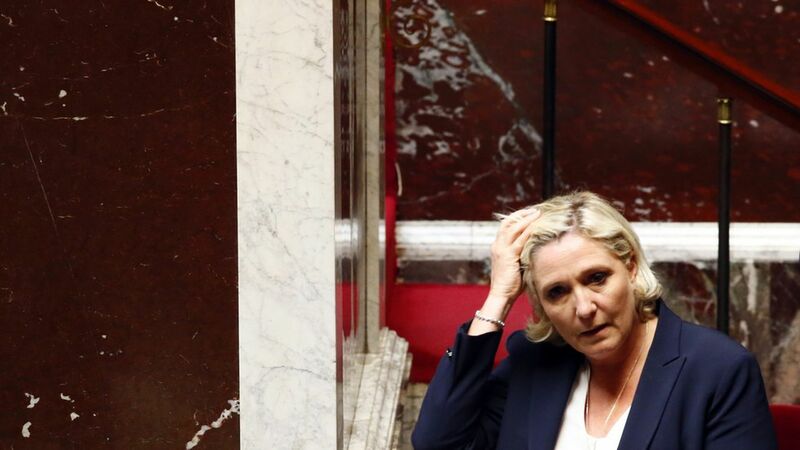 She is accused of using European Parliament money meant to fund parliamentary assistants to pay staffers for her National Front Party instead, per The Atlantic. Sounds familiar: The allegations had become an issue back in February during the presidential campaign when the European Parliament threatened to withhold her pay — at the time, she said that would not "submit to persecution." Le Pen's National Front has been unable to secure funding in the past given some of its extreme political stances, notably cozying up to Russia and Vladimir Putin in order to get a loan to keep itself a float.